One of the most important aspects of a regional airport is providing an air freight service for the county and state as it is needed. Local businesses require items to be delivered quickly from out of state and the quickest way to do that is by air. This category page introduces air freight as a viable business requirement that provides a valuable service when needed. It also covers emergency shipments such as vital medical equipment, medicines and drugs and donor organs for local hospitals, repair and service equipment for commercial and household appliances and installations and urgent packages for personal or business use. There is nothing can match air transportation for speed when an item needs to be delivered quickly and without delay. While costs are naturally higher for this service, there are times when timely delivery is more important than saving a few dollars on the transport method. 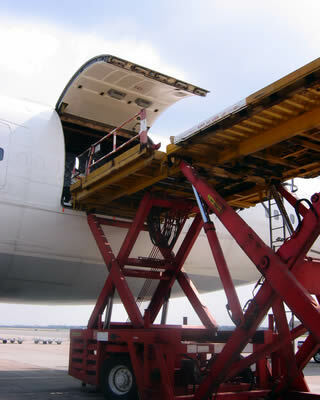 Most items that are suitable for air transportation tend to be lighter in weight and smaller in dimensions, but there are occasions when a larger, heavier item needs to be brought in by plane to meet a deadline and the client is more than prepared to pay the higher cost to have their goods when they need them. Common sense needs to be applied when considering freight items and the size and weight constraints of aircraft are limiting factors that cannot be avoided. Most aircraft using the Florida Trade Port are light planes although the occasional larger cargo plane can land and use the airport in the right circumstances. That means the day to day shipping constraints are on volume and shape of the load as well as its weight. Smaller planes cannot for example be used to fly in a grand piano into the county but they can be used to fly in piano tuning, repair and service equipment properly packaged and labeled. You wouldn't try to fly a herd of cattle into an airport but you could fly veterinary equipment and medicines to treat existing herds. The main thing to realize is that very large, bulky and heavy items simply cannot be flown safely and are best transported by road haulage, freight train or cargo ship by sea. Airplanes are designed for getting smaller, more easily manageable loads to their destination fast.